. :: Marihiko Hara is a member of the artist collective Rimacona-Lab. He composes sound-based works, reflecting on the strength of silence. His work "untitled" was selected by "Festival Confluencias 2005" held in Spain. Also, he is a member of the experimental-pop duo Rimacona with Natsuko Yanagimoto. During summer 2006 Rimacona organised a concert as an opening event of "Feu Nos Peres -Japanese Migrants in New-Caledonia-" by Mutsumi Tsuda at Tjibaou Caltural Center in New-Caledonia. Since 2007 Rimacona's concert has been on in Yokohama, Fukuoka, Kyoto and Okinawa. Cesura, Hara's debut album, emits melodies that have been compressed into subtle layers and thin sound-scapes. The piano is his trademark, and when coupled with the other acoustic instruments he employs, we get digital samples that float endlessly via loops and high frequencies throughout the entire album, as in 'Sleep', 'Cesura', and 'Konstellation'. 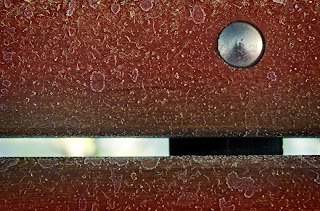 Silence is the other vitally important element of 'Cesura'. It is often balanced with drones and white noise (as in 'Vision', 'Spectrum', 'Consonance', and 'Ripple') and is treated as an active part of the sound Hara makes. It serves as the basic color of the canvas, which he slowly fills with thin colored stokes. On the final track, entitled 'modena', Hara collaborates with Natsuko Yanagimoto: a vocalist and second half of the experimental-pop duo, Rimacona. Here, an over-processed voice is surrounded by flickering sounds, which resonate intimate tones and an overall emotive atmosphere. Marihiko Hara designs minimal sound sculptures with poetry and soul, gives weight to pauses, and breaths life into silences and melodies without emphasis.
.:: Dúo de bajo eléctrico y batería, que hace música de cámara dentro del género del rock (Rock de Cámara). Hacen música instrumental sin grabaciones ni “sampleos”. Su música es original y propositiva, lejos de los estándares comerciales. 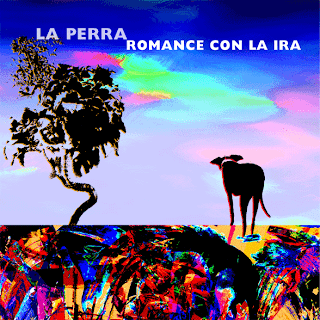 Han grabado y producido tres CDS: La Perra (Homónimo 1998), Fricción Visual (2001) y Romance con la Ira (2006). Toma su nombre por el amor y el entendimiento que les tiene a las perras y a todos los animales. Se forma por la necesidad de interpretar un rock diferente, original. En vivo son un dúo de bajo y batería sin utilizar ningún recurso de “sampleo” ó música grabada; son apasionados por su música y logran darnos un rock explosivo y rarísimo. Estos dos músicos están en contra de la superficialidad del rock y se dedican en cuerpo y alma a hacer del rock su arte. Elena Sánchez: Bajo eléctrico (cuatro y seis cuerdas y fretless) y kalimba. Perico (CCB): batería, batajón okonkolo y percusiones.
.:: Gepel is a trio founded in 2006. The music is characterized by its original way of playing different popular music languages from Latin America with the traditional jazz sound texture. 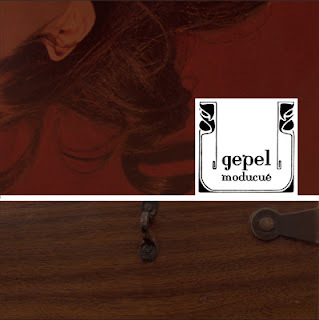 Moducué is the first album from Gepel (“Moducue”, meaning “Thanks” in Lucumí, a Yoruba dialect). 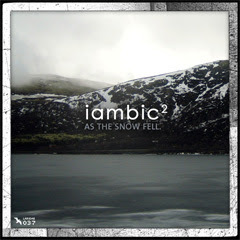 All compositions performed in the album are original and each one of them is dedicated to a singular popular music language.
.:: After giving you a glimpse of the cold and abstract side of laridae with "wencoded", we now start into 2007 with a full-length-album by our newest artist iambic2, probably the warmest and most beautiful release on laridae so far.
.:: Norton are addicted to remixes. In 2005 they released a remixed version of their debut album only with remixes made from Portuguese musicians. Now, not even a year has passed since they released Kersche they present a new remixes release. Kersche Remixed is, as the name announces, a remixed version of Kersche. 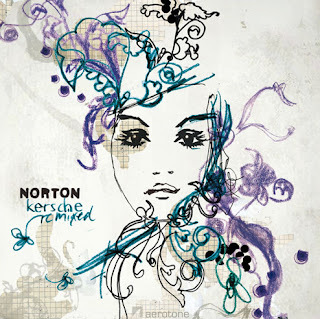 People from all around the world were putting new visions, new sounds, new atmospheres in Norton songs.
.:: iambic² is an electronic music act based in London, UK which was created by Guy Andrews in 2004. 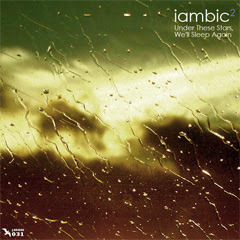 The music is based around the ambient genre but fuses elements of many other styles together including Jazz, Soundscape, IDM, Post-Rock and Break Beat to create a new and evocative sound.
.:: One year after his very well acclaimed debut "Under These Stars, We'll Sleep Again", Guy Andrews aka "iambic²" is back with his new full length release "As The Snow Fell" - a calmed down collage of rather cold ambient pieces on the one hand and warm songwriter refinement on the other.